Three weeks later it was July 2018, but the hot summer lingered on. So did my running, and again I was wearing my Louis Garneau Bike shirt so I had a place to put my travelcard for the train ride, even though it weather-wise would be better to run with a naked upper body. 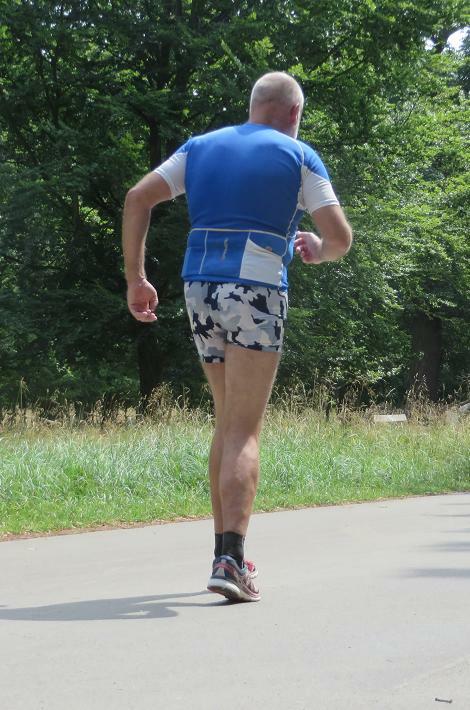 Today's training run would take me to the Dyrehaven woods, and the shorts of the day was my old Camo navy shorts. More Louis Garneau Bike pics in my Camo navy gallery.